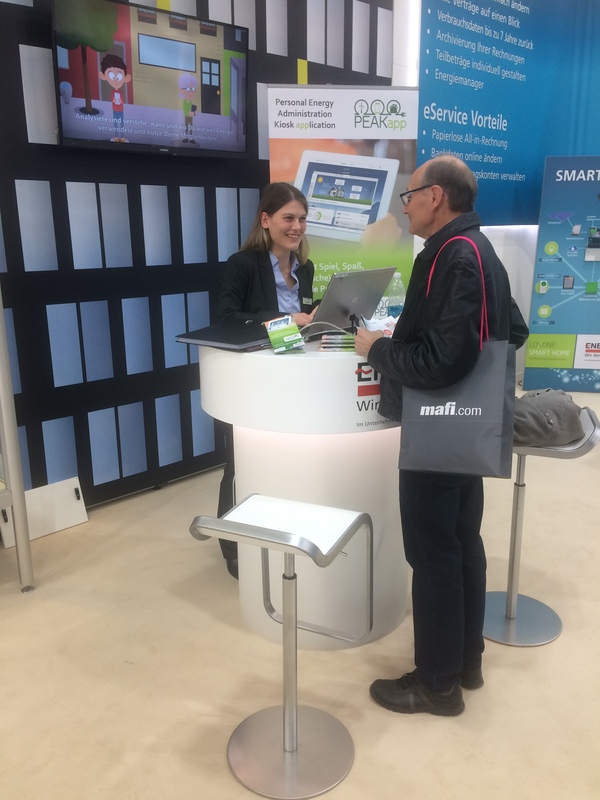 Austria´s leading energy event under the name Energiesparmesse again proved its popularity as it attracted 94,000 visitors to Wels, Austria in the first weekend of March 2017. With 821 exhibitors from 14 countries worldwide who were able to network at 150 events it also confirmed itself as an important B2B fair trade in the region. Together with its partners, PEAKapp presented its mobile application to potential customers for the first time. At the PEAKapp booth, project team members were inviting residents of Austria, receiving electricity from EnergieAG and with already installed smart meters, to participate in the online app testing. As the PEAKapp project follows a plan to deliver quality of data and high user experience, this is an important app development stage in which input from test users is essential. Testers of mobile app who will complete the online form – also available here – will have to download the first version and play the PEAKapp game. Participating users will also be entering a draw to win coupons for a range of prizes, 1)€500 coupon for an electric home appliance at our partners FairEnergyPartners, 2) €500 coupon for a spa weekend in your favourite GreenPearls hotel, 3) several €100 coupons for electric gadgets in EnergieAG shop. Take your part in the green energy revolution NOW and sign up to become PEAKapp test user here! See you at our next external event DECARB HEAT , 11-12.5 .2017, in Brussels, Belgium. Project PEAKapp is featured in News article of EU´s Executive Agency for Small and Medium Enterprises. 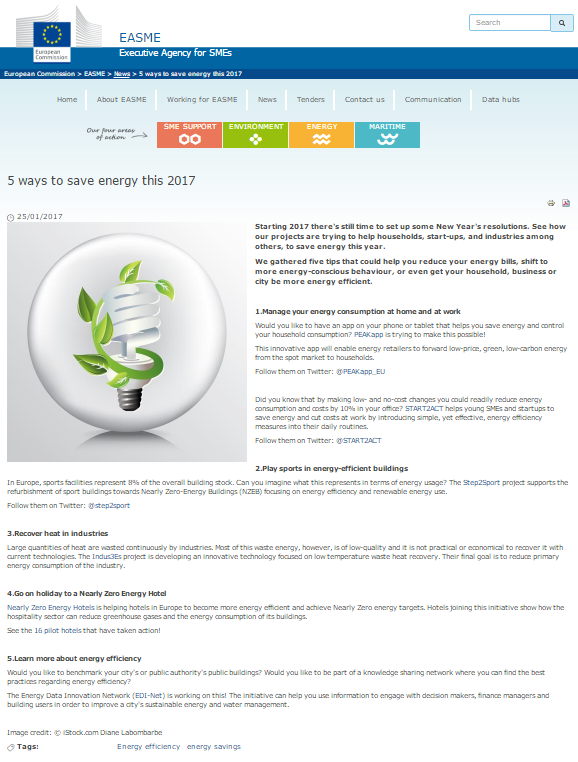 Article with ´´5 ways to save energy this 2017´´ title presents energy saving tips and how European projects can help us with that. 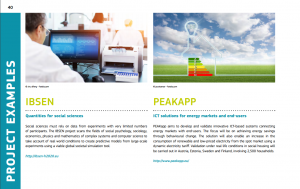 PEAKapp project is highlighted as ICT solutions for energy markets and end-users: PEAKapp aims to develop and validate innovative ICT-based systems connecting energy markets with end-users. The focus will be on achieving energy savings through behavioural change. The solution will also enable an increase in the consumption of renewable and low-priced electricity from the spot market using a dynamic electricity tariff. Validation under real life conditions in social housing will be carried out in Austria, Estonia, Sweden and Finland, involving 2,500 households. 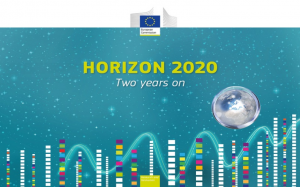 ´´This brochure clearly demonstrates the huge potential in Europe for excellent research and innovation and for turning it into economic value and a better quality of life. 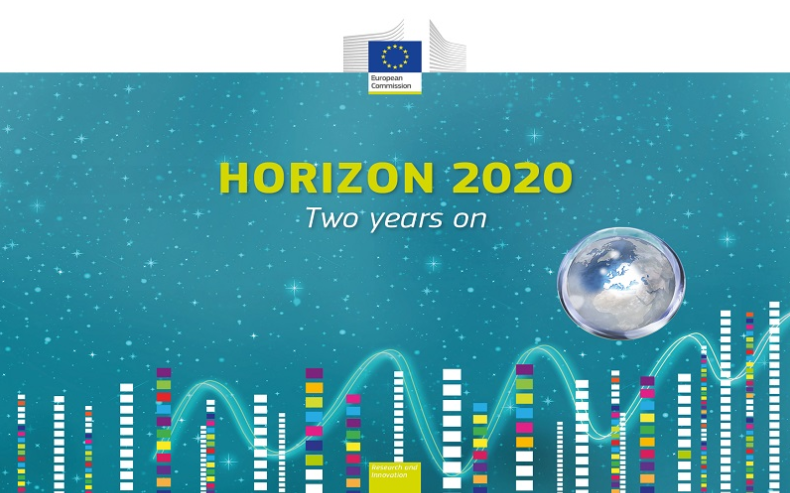 ´´Carlos Moedas, Commissioner for Research, Science and Innovation and Robert-Jan Smits, Director-General, Directorate-General for Research and Innovation, European Commission. What´s coming up in year 2017? Project partners from 7 EU countries have all been busy in the year 2016, meeting regularly and carrying out first deliverables which you can find here. We are already digging into new project tasks for 2017 which will bring to life first mobile app version! And not just any mobile app, but an app that will in the long run help protect Earth´s climate and save you some money on that monthly electricity bill! http://www.peakapp.eu/wp-content/uploads/2016/03/340x190-PA-Logo-final-rgb-300x171.png 0 0 Ana RTDS Group http://www.peakapp.eu/wp-content/uploads/2016/03/340x190-PA-Logo-final-rgb-300x171.png Ana RTDS Group2017-01-04 16:44:092017-01-04 18:14:47What´s coming up in year 2017? Project partners meet in Linz (Austria) next week to launch the PEAKapp project.